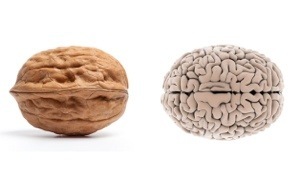 Take a walnut for example with just a little imagination you might think that it is mimicking the brain by the way that it looks. But just in case you are unable to see that physical similarity, walnuts do build neuro transmitters to assist with brain functions. So go eat a few more so you can improve your imagination. There are some beans that look like kidneys wouldn’t you say? Ok go eat a few more walnuts. But seriously, these beans are known to heal and maintain kidney functions. Next time you slice a carrot look closely. You just might see the similarity to our human eye. Carrots are renown to improve blood flow to our eyes. Ironic, right? How many chambers does the human heart have? 4 at last count. Well, so does a tomato. And it is red too, just like our hearts. -;). 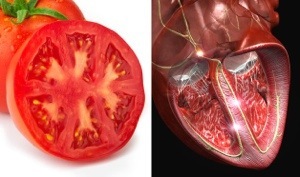 It provides fantastic lycopene, food for our heart and blood. Can you think of any other fruit, vegetable, plant, or legume that visually mimicks a part of our bodies while yielding benefits? Maybe you could use a little more help in the imagination department. 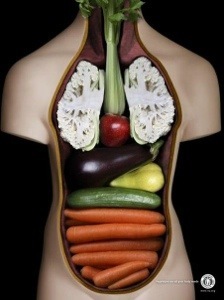 Would love to read your ideas about other nutritional artsy fruits, nuts, vegetables etc. And if you need a little help, eat some more walnuts. Cieaura’s PureEnergy Holographic Chips supports a healthier metabolism by minimizing that rebound fatigue or energy crashes so common to energy drinks and coffee. You might be subtlety surprised at what it could do for your neuro transmitters. -:). This entry was posted in Health and Wellness and tagged Acupuncture, alternative therapies, Art, Chakras, chiropractic, energy medicine, holistic, holographic chips, homeopathic, needle-less acupuncture., non-transdermal, Qi, side effects, technology. by chipsterhealth. Bookmark the permalink. Randolph, did I already thank you for the information that you sent? Well thank you for it! Love science. I hope too that you are finding my blogs informative too.